Do I Have To Pay Tax On Turo or Getaround Income? Car owners now have more options than ever to earn money from their cars. One of the biggest benefits of using car sharing services, such as Getaround and Turo, is that you can make extra income with the car you already own or lease. However, you should be aware that your income may be subject to taxes based on a few different important factors. Here’s what you need to know about tax on Turo and Getaround income. While everyone’s personal tax situation is different, you should be aware of the fact that you may be able to deduct expenses related to renting your car on Getaround or Turo if the IRS treats your income as if you own a small business. These deductions are reported on Schedule C, which is a form that is added on to your regular Form 1040 that you file every year. In order to claim these deductions, you will need to track all of your car expenses, including business mileage. Make sure that you also keep all of the receipts related to the car that you rent with Getaround or Turo. We recommend using an app such as Hurdlr, to simplify tracking miles and expenses in a centralized location. It’s also important to note that you may not be eligible for every deduction related to your Getaround or Turo rental activities. Make sure you consult a tax professional for further guidance. 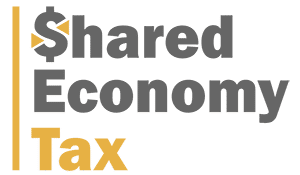 How Do I Calculate my Taxable Income from Car Sharing? Your gross earnings are the total rents you’ve collected from the platforms. The expenses related to Getaround and Turo that you should deduct from your gross earnings in order to calculate your net earnings include car payments if leased, garage fees, service plans, insurance, warranties, and other related expenses. It is important to note that you will be subject to self-employment taxes of approximately 15.3 percent on your net earnings, so you’ll want to try and maximize your deductions in order to minimize your tax burden. In addition to self-employment taxes, you will be subject to federal income taxes on your net earnings. This can range from 20 percent to 36 percent. To calculate your projected tax liability, reach out to one of our tax professionals for additional guidance. Do I have to Pay Estimated Taxes? When do I have to Pay? If you expect that you will owe at least $1,000 in federal income taxes, the IRS requires you to make quarterly estimated tax payments. Estimated tax payments are due on April 15th, June 15th, September 15th, and January 15th of the following year. If any of these dates fall on a weekend or holiday, then the estimated tax due date is automatically pushed back to the next business day following the due date. While these are the final due dates, you can certainly make payments more often. You might want to consider this if estimate that your quarterly payments will be fairly large. It’s certainly easier to make smaller payments over time than it is to make a single payment on the due date. Will I get a 1099 from Turo or Getaround? Getaround sends a Form 1099-K, which provides a report of the total income that you earned in the past year on their platform if you earn $20,000 and have 200+ transactions in a calendar year. Like Getaround, Turo also sends you a Form 1099-K if you earned more than $20,000 and have 200+ transactions on the platform during the year. If you don’t meet these thresholds, you will not receive a 1099 from Getaround or Turo. Connect with a tax advisor here to find out more.